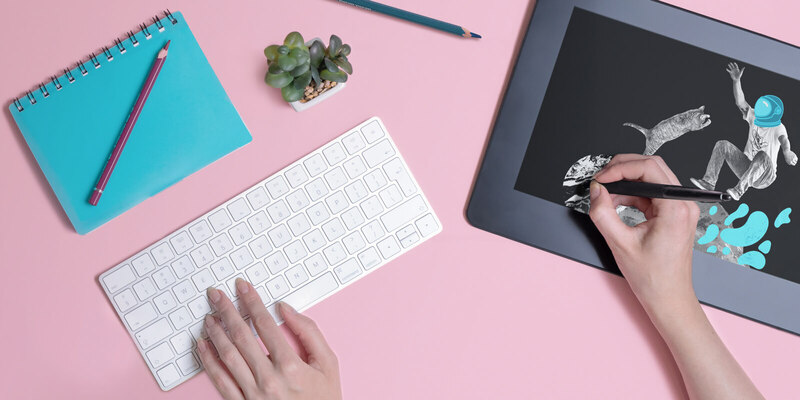 Create your dream products with Printful’s design team! On top of creating new designs and preparing print files for Printful, we can also help you with other projects. The designs we create for you are yours to keep! Whether it's for other print platforms like Teespring or Society6, or a Kickstarter or other fundraising campaign – we’ve got you covered. Have you been sitting on an idea for a while? Reach out to us – we’d love to see how we can help! Your logo is often the first thing customer sees, and when it comes to building brand loyalty, there’s no second chance to make a first impression. Make it count by having a professionally designed logo. We can take your ideas or existing designs and turn them into print files for any Printful product, like t-shirts, mugs, posters, totes, canvas prints, and more. If your existing designs could use a bit of tweaking, we're your best bet to get your finished products just right. After all, our team knows Printful product specs inside and out. Printful will not take responsibility and is not liable for graphics resulting in a cease and desist order. Printful assumes that all content provided by its clients is original and/or is copyrighted by the client. Rather than just pushing a pencil around on paper (or stylus on a tablet), I like to think holistically about every project I tackle. I do my research, I ask and answer all of the questions I have about the particular subject. I pay close attention to detail, but also know when to keep it simple. I am a designer focusing on the beautiful marriage of photography, design, and fine art. I love to make stuff. I like to get my hands dirty and I like to learn new things. My greatest motivation is knowing I can change the world with design and that’s exactly what I’m going to do. I see illustration and design work as a practice in critical thinking and problem solving as much as artistic communication or expression. I draw much of my inspiration from comics, cartoons, and movie posters. My strengths are centered around color, composition, and linework. For each project, I take every step possible to ensure I have a comprehensive understanding of the core concept and apply it to every step of the process. I'm a graphic designer with a keen passion for illustration. My main sources of inspiration are mythology, culture, history, and … video games! I like to unite the ancient with the modern, traditional techniques with digital possibilities, elaborate and deep concepts with clean and simple solutions. I'm inspired by magical things, artistic moments in life and different personalities. The weirder the world is - the more fun I’m having! I’m a graphic designer that pays a lot of attention to detail and when it comes to my work, I’m determined to conquer any challenges that come my way! I’m a graphic designer and illustrator who seeks to pull something out of the needless clutter, creating something bold and iconic. Above all else, I value simplicity, harmonious and unexpected colors, typography and the story behind the design. Fill out the request form below and a member from our team will get back to you in 24 hours on business days with a quote for the job.